Positive results from the IMPACT study demonstrate that patients with homogeneous emphysema benefit from treatment with Pulmonx Corporation’s proprietary Zephyr® Endobronchial Valves (EBV), according to a new study published online in the American Journal of Respiratory and Critical Care Medicine. Hitting our pages again, Pulmonx, with its combination of a clever valve (EBV) for use in emphysema treatment, combined with an equally clever patient pre-selection system, is now enjoying the oxygen of publicity itself, pardon the pun. A newly published study suggests that patients pre-selected with the Chartis® System and treated with EBV experienced clinically meaningful improvements in lung function, exercise tolerance, and quality of life compared to the control group. The company says these data indicate that EBV therapy can benefit substantially more patients than previously believed. The IMPACT study is the first prospective, randomized, multi-center study examining the effectiveness of the Zephyr EBV specifically in patients with homogeneous emphysema. The study enrolled and randomized 93 patients with severe homogeneous emphysema to compare the safety and effectiveness of Zephyr EBV treatment against medical management. The company’s proprietary Chartis System was used to select patients with little or no collateral ventilation who are most likely to benefit from treatment, and advanced imaging technology was used to select a target lobe for treatment. Three-month results from the study showed that patients with homogeneous emphysema and little or no collateral ventilation (assessed using the Chartis System) treated with the Zephyr EBV experienced a 17 percent improvement in FEV1 compared to the control group. EBV-treated patients also experienced improved exercise tolerance, with a 40-meter increase over the control group in the Six Minute Walk Test (6MWD), and improved quality of life, with a 10-point improvement in the St. Georges Respiratory Questionnaire (SGRQ) score over the control group. The results also showed that 97 percent of EBV subjects experienced target lobe volume reduction, indicating effective occlusion of the target lobe following EBV placement. Professor Ralf Eberhardt, MD, of the Thoraxklinik at the University of Heidelberg, and co-principal investigator of the IMPACT study, also presented the results at the 26th International Congress of the European Respiratory Society (ERS) on September 4. “Endobronchial valve treatment has previously shown definitive benefits in patients with heterogeneous disease; we wanted to see if patients with homogeneous emphysema could also benefit from this proven, minimally-invasive approach for lung volume reduction. In the IMPACT study, we found that EBV treatment resulted in statistically and clinically significant improvements versus controls in pulmonary function, exercise capacity and quality of life in patients with severe homogenous emphysema and negative collateral ventilation,” said Professor Eberhardt. 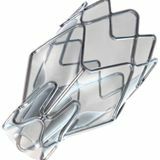 “The IMPACT results show that selecting the right patient for endobronchial valve treatment is now simpler. We should focus on patients with hyperinflation and the absence of collateral ventilation, rather than on the homogeneity or heterogeneity of the disease,” said Associate Professor Arschang Valipour, MD, FCCP, of the Ludwig-Boltzmann-Institute for COPD and Respiratory Epidemiology at Otto-Wagner-Spital in Vienna, Austria, lead author of the paper and co-principal investigator of the IMPACT study.